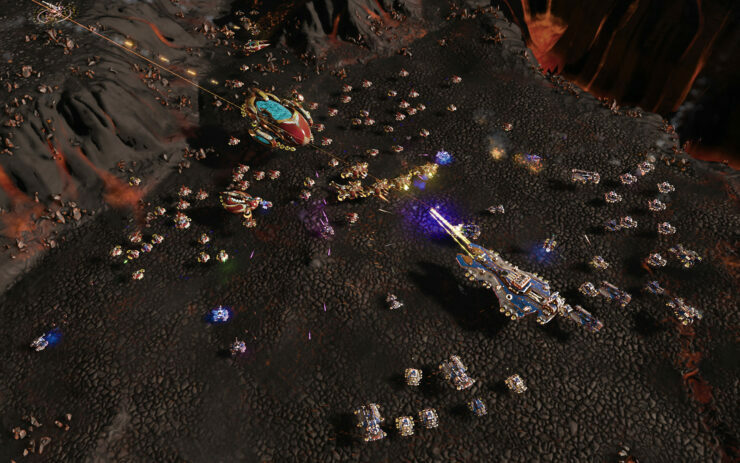 Stardock Entertainment announced Escalation, the standalone expansion for their real-time strategy game Ashes of the Singularity. In case you don’t know what that means, you won’t need to purchase Ashes of the Singularity in order to play this expansion (though if you already own the base game you’ll get a discount when buying Escalation). According to the developers, both Ashes of the Singularity and its expansion will continue to be updated simultaneously; moreover, any DLC you’ve purchased for Ashes will work here as well. In the game, the Post Human Coalition is under siege by a new enemy faction (the Substrate) who wishes to completely wipe humanity out of existence. Players will have to deal with this menace as well as renegade humans trying to recapture their own worlds. See Haalee’s point of view and learn about the origin of the Substrate in the campaign “Memories.”Experience the next chapter in the “Escalation,”campaign as the PHC faces external and internal threats. Add to the gameplay dynamic with new units for both the PHC and the Substrate! Destroy waves of enemies with the heavily armored Hera unit for the PHC or bolster the strength of your army and recharge their defenses with the Caregiver unit for the Substrate, and more. Travel to new Crystal and Lava worlds for new and exciting scenery for truly epic battles. Wage war across landscapes of massive crystal formations or storm your enemy’s base across spans of volcanic pits and burning terrain. Experience truly massive wars with over a dozen players at once on maps even larger than before! Face the new challenges of multi-tiered terrain and use the new Global View to manage your armies more easily. Bolster your defenses with new upgradable buildings. Unleash devastating advanced aircraft units on your enemies by building an Aviary or Advanced Sky Factory. Lay traps for your enemies or surprise them from behind enemy lines with new offensive and defensive turrets. Ashes of the Singularity: Escalation is expected to be available in November 3rd on PC. Pre-order on Steam and you can save 25% off the regular price of $39.99.